first experiences are most important !!! 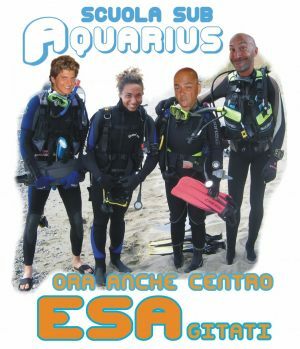 ...Aquarius offers a first experience where you can take your very first breath with scuba equipment in the calm protected bay of Cala Suaraccia with supervising experienced instructors in safe shallow waters!!! We have 6 instructors at your disposal to answer all your questions and to make you feel safe and comfortable while in the water. The approach is in steps as both the student and the instructor feel comfortable. First there is a SEA BAPTISM which starts as a short trial and progresses with a few easy but important exercises. At this point a boat dive is possible in the Marine Park to a maximum depth of 12 meters!!! 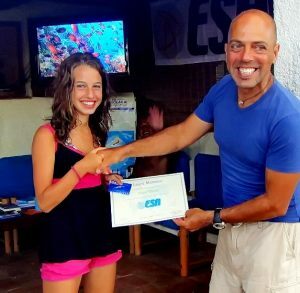 Or you can move forward for more beach exercises, some easy theory and continue on to the very first SCUBA CERTIFICATION!